Apr. 9 (NBD) – Sitting alone in a restaurant, Xiaomeng (pseudonym) soon found a waiter/waitress considerately placed a fluffy toy opposite to her and also arranged a set of tableware for the furry thing, which made her feel accompanied and mentally satisfied. "It's such a warm comfort to me," she highly praised the emerging service. For people who often feel lonely, things will get easier with the emergence of a variety of services designed to soothe the soul of people and cushion the blows of a harsh world. Amid the hustle and bustle in modern life, the overwhelming stress and anxiety is invisibly affecting and harming human beings' physical and psychological health. 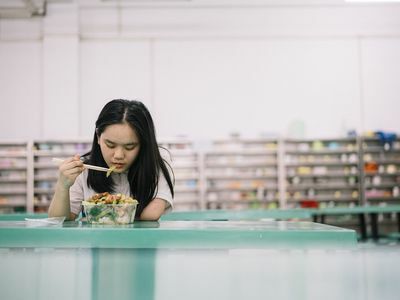 According to Sinolink Securities Research Institute, around 264 million people born between 1995 and 2005, which constitute 18.9 percent of China's total population, are tangled with constant loneliness and angst. Some merchants with a keen business insight immediately launched products or services labeled with pressure reduction and relaxation, leading to the rise of a special economic niche featuring iyashi (a Japanese word which means healing in English). Currently, the new form of economy covers all aspects of daily life, specifically including fitness, meditation, customized travel, pet-raising and social eating (also known as mukbang, a virtual phenomenon where people live-stream themselves eating large amounts of food). The boom of healing products and services has given a strong boost to a raft of industries, for example, the pet industry as dogs and cats are always viewed as great life companions. A report on the Chinese pet industry in 2018 indicated the market reached 170.8 billion yuan (25.4 billion U.S. dollars), increasing by 27 percent year on year, with each dog and cat owner respectively spending 9,898 yuan (1,474.2 U.S. dollars) and 10,078.5 yuan (1,501.1 U.S. dollars) annually on average on food, healthcare products, medical expenses, toys and other articles for the pet. Some scholars held that the emerging economic niche isn't a mere embodiment of people's loneliness but, to a larger extent, a change in perceptions of consumption as diversified demand for consumption has become a trend. Liu Jiehao, an analyst with iiMedia Research agreed with the opinion, adding young people who live alone in China prefer quality and uniqueness of healing products. The prosperity of healing products and services is not peculiar to China, as loneliness somehow has become an epidemic around the world, not only among young people, but also the elderly. Thousands of kilometers away from China, Japan is the nation spawning a healing craze. Statistics show an estimated 6.24 million Japanese people over 65, and a total of 18.4 million adults ― twice as many as 30 years ago ― live alone. To address loneliness, not only do the Japanese incubate music, literature, animation, TV series and films for lonely hearts but also offer cafes that allow customers to play with cats to shed pressure and find comfort. The Japanese fad for cats even gave birth to a term – "nekonomics" (the economics of cats). No matter how sluggish the overall economy is in Japan, merchants will always make profits from cat-themed products. In South Korea, Mukbang, a hot trend and also a lucrative business in China and Australia, for the first time carved out an Internet niche befitting the lonely groups. A Korean Mukbang star, for instance, garners more than 350,000 views for each of her videos and an Australian broadcaster is able to reap over 10,000 Australian dollars on YouTube monthly. Champ Yang, a Mukbang enthusiast, once told U.S. TV program Dateline that people feel lonely sometimes and watching Mukbang comforts them. "Watching livestreamers eat food is a kind of way to escape from real life and a healing for us," Yang said. In the UK, about a fifth of people say they are lonely. Three-quarters of doctors in the country say between one and five people come to their practices a day whose main ailment is loneliness. 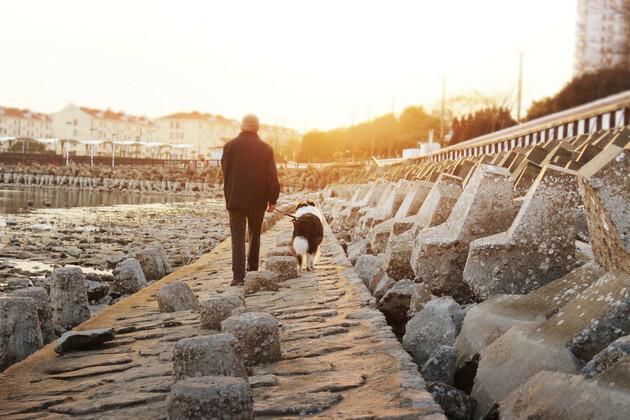 A farm in the UK in 2017 launched a program that provides animal-assisted therapy for older people who may be isolated and house-bound with limited access to the outside world. Members of the program could come down to the farm once a week and spend time with rabbits, ferrets, goats, and donkeys, which offer physical and emotional comfort and sensory contact.